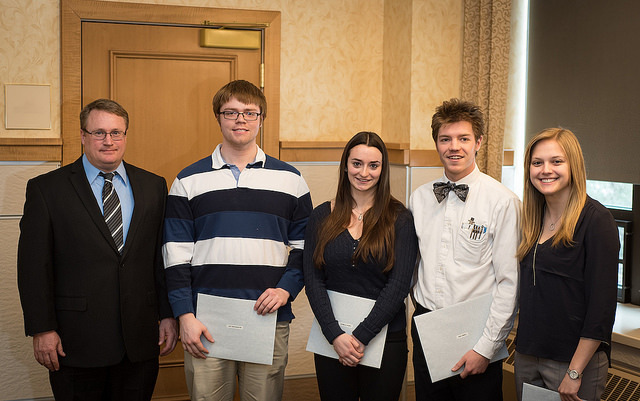 Scott Wendt presented awards to Danielle Kehrig, Bob Lebrell, Olivia Munoz, Alex Reichenadter, and Alex Wright. 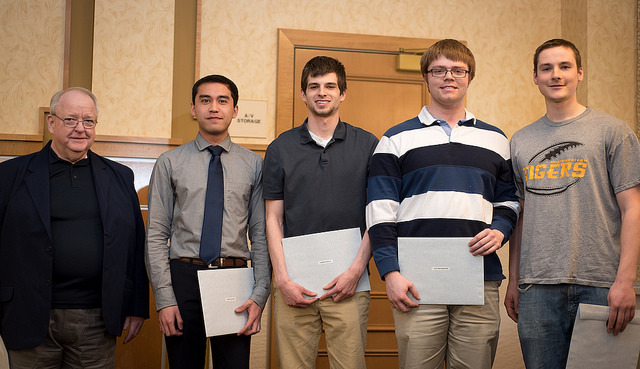 Under the leadership and vision of Dr. Anton Pintar, the PAWS safety program was initiated during Spring Quarter, 1989. The name of the program was suggested by Elizabeth A. Vary, a 19880-89 student in the Unit Operations Laboratory. 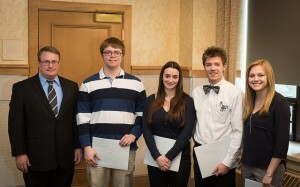 Various aspects of the program were suggested by other students of the Class of 1989. The program is a combination of features used in the SOAR (Stop, Observe, Act and Report) program at the BASF Corporation and the Praise Positive Program at the Dow Chemical Company. The program continues to evolve and is supported financially through generous contributions from Professor Emeritus Dr. Anton Pintar. 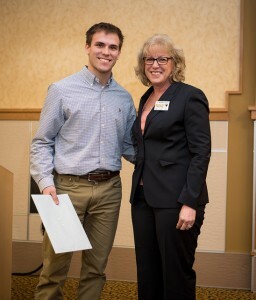 Laurie Couture-Dorschner presented the award to Alex Bank. Laurie Couture-Dorschner presented the award to Olivia Munoz. Tim Eisele presented awards to Michelle Hoard, Jonathan Iafrate, Dylan Turpeinen, and Kyle Thompson. 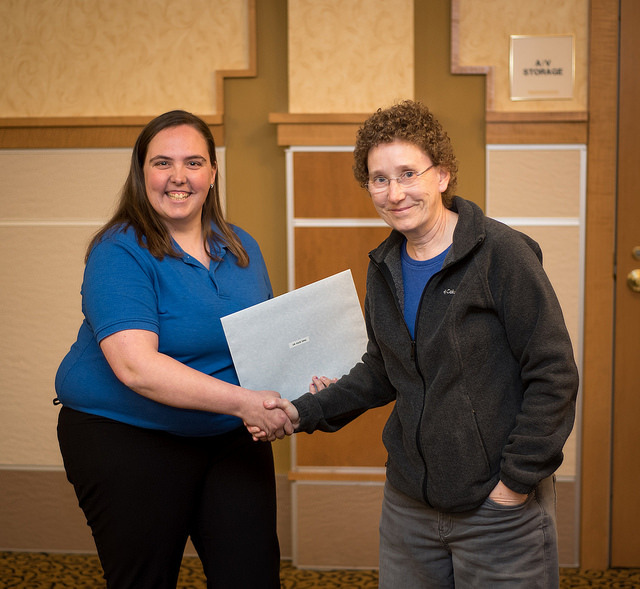 This award recognizes outstanding technical skills in the laboratory, outstanding teamwork and professionalism, effective oral and written communication, and strong adherence to process safety practices as recognized by your peers and supported by the faculty of the department. 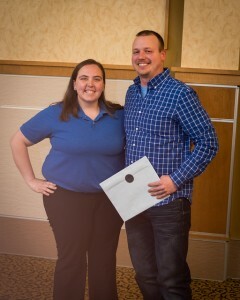 This award is in memory of Dr. Marriott W. Bredekamp. Tony Rogers presented awards to Paul Langford, Travis Pellosma, Alex Reichanadter, and Cameron Roman. 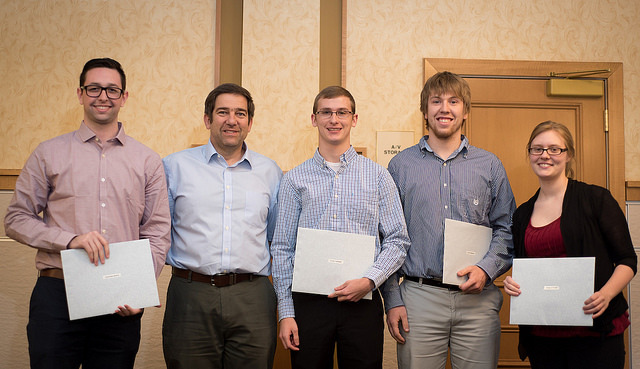 This award recognizes an outstanding team in Chemical Engineering Plant Design during the academic year. Also, this award recognizes technical ability, consideration of the safety and environmental aspects of process design, outstanding written and oral communication skills, and overall teamwork and professionalism. This is awarded in memory of Dr. David W. Hubbard. Jacqueline Harms, AIChE Student President, presented the award to Richard Machiela. 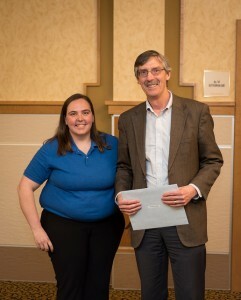 Jacqueline Harms, AIChE Student President, presented the award to David Shonnard. 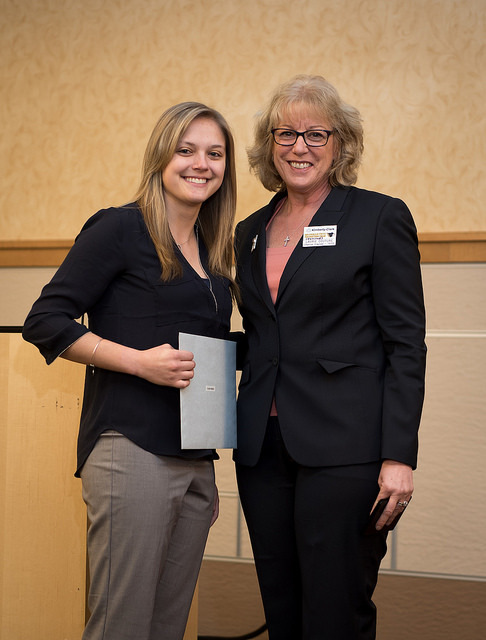 Jacqueline Harms, AIChE Student President, presented the award to Julia King. William Colton was the keynote speaker for the 2016 Department of Chemical Engineering awards convocation. Mr. William (Bill) M. Colton is Vice President, Corporate Strategic Planning for Exxon Mobil Corporation. 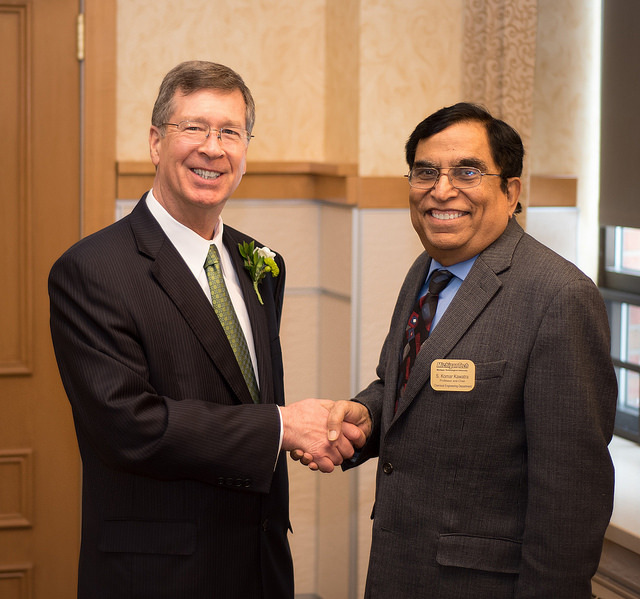 Mr. Colton received his BS degree in Chemical Engineering from Michigan Technological University in 1975.